Went to a sweet Relief Society enrichment night. Our speaker talked about creating a happy home. And by "happy home" she meant a "happy me," basically. Because you can't change anyone else. One of my favorite parts was when she talked about living in "inverse paranoia." If something looks like it's going to turn it bad, assume it's something good instead. We'll be right more often when we assume things are good than we will assuming they are bad. Perhaps I'll share more thoughts about that later. That sounded a lot plainer than it did when I heard it. I'll give stories as I try to implement it. More on this later. "O forgive as thou wouldst be even forgiven now by Me"
I encountered a lot of negativity today from others around me. It wasn't usually directed right at me, thankfully. But it still wasn't a very enjoyable thing. I noticed that most of the problem in these several situations and people seems to me to be fueled by the same thing: not forgiving. Since I've been studying forgiveness a lot (because there is someone I need to learn how to truly forgive), I not only notice it more in myself, but in others too. Some people don't forgive themselves, which brings self-hate and hate for those around them, as well as a paranoia of being judged by others. A lot of people have others that they haven't forgiven. Some don't "forgive" God. This lack of forgiveness, lack of love and charity, is poisoning everyone. It's really sad, and frightening, because Jesus taught that we can't be forgiven by the Father if we don't forgive our fellowmen. That's everyone. It's humbling to realize that I'm in this situation. 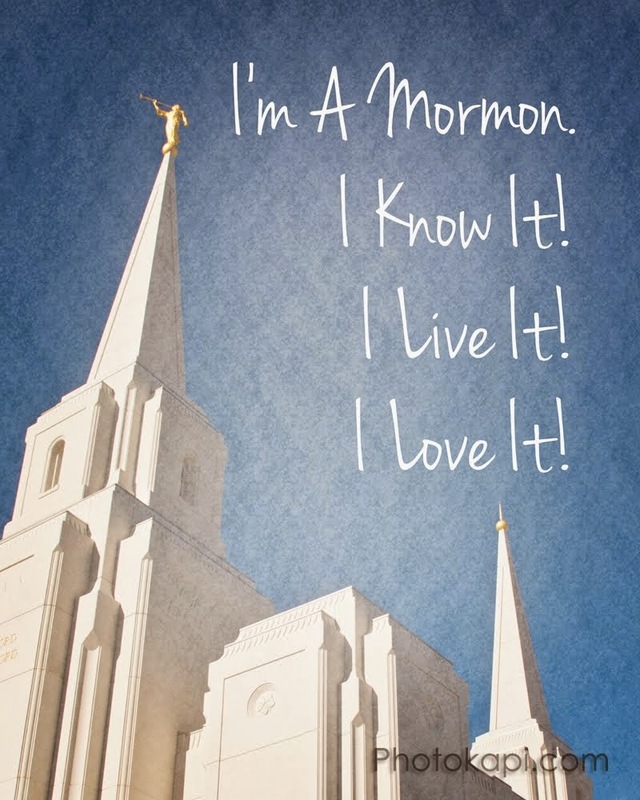 But it also makes me extremely grateful that I am aware of it in myself, that I desire to change it, and that the Savior Jesus Christ has the power and the love to help me overcome this bitterness, and learn to forgive. "I know that in His strength I can do all things" even if that means learning to frankly, honestly, sincerely, lovingly, and steadfastly forgive someone that I haven't been able to forgive on my own. I hope and pray that other people will realize the importance and the opportunity of forgiveness. I pray that everyone including myself will have enough love and faith in Christ's atonement to forgive whoever it is that we haven't forgiven. It'll be hard (that's for sure) but I hear it's worth it. =) I know it will be. Alice and I have been friends since age 5. I’m glad we both grew up as generally good kids. I’m glad I had good kindergarten/elementary school friends. Who knows if I’d be the same person today? Last night I went to Brittany, Britny and Alice's apartment, and then to Britny's sophomore piano recital. It was great to talk to Brittany and Alice, and absolutely amazing to listen to Britny play the piano. She's AMAZING! Listening to her made me simultaneously want to practice more, or give up altogether. I'm not exactly sure which. Well, I couldn't live without at least a little bit of piano in my life, even if it's nowhere near amazing. It satisfies my needs (most of the time). Alice and I had a grand time talking about missions, since she's going on one too. She's going to have her stake interview next week, so hopefully within about three weeks she'll have her call! We're thinking about going mission clothes shopping at the end of April or beginning of May. It's so fun to have friends I love doing the same thing. I would still do it even if no one else was, but it's nice to know I'm not alone in it. Well, I'm never alone in it, because I have God, but you know what I mean... It's nice to have other young women deciding that a mission is worth it too. Gotta get ready for church! I'm now officially mission age. Sweet. But I still have nine and a half weeks before I go. After my fast on Sunday, I have become much more excited to go. My doubts are really starting to disappear, the Spirit has been with me, and everything about a mission just seems a lot better than it did before. I know that fasting works. The Lord answers my prayers. =) Sometimes it takes a while, but I think I really needed all that time before my answer came, and I came to understand faith better by waiting for that answer and moving forward before receiving it. And it kept me humble! And it gave me an opportunity to gain a stronger testimony of fasting. And it kept me always turned to God, because I really wanted to know, and I was trying to make sure that I was always worthy so I could hear the answer, whenever the Spirit was ready to whisper it to me. See, the Lord really knows what He's doing! So my next plan is to realize something else I don't know, and would like to know, that can keep me humble and searching. And considering how much there is to know concerning all that I need to teach and do on a mission, I don't think I'll run out. God knows what He's doing. And He loves us immensely. What could be more comforting and exciting than that? Why would you devote your life to anything other than being good? People wonder why we do the things we do, and I'm tempted to say "The question is why aren't you?" Somehow people think that momentary happiness is worth it, when it's at the expense of values, self-discipline, and character. Imagine looking back on your life. Why would you want to look back on things you had done that you knew were wrong? Everyone has enough of the light of Christ to know the basics of right and wrong. It just makes sense, when one uses perspective, to just do what's right! I don't know...that's how I see it. "When asked how she does this five days a week during the school year, she replied: "It's just discipline. You just have to say, ' I'm going to attend seminary every morning.' If you say, 'Maybe I'll attend,' it won't happen. You have to make a really strong decision and make it a priority. It takes a lot of self-discipline." Consistent self-discipline then begins to turn into confidence and character, and it shows in other aspects of these young people's lives." That last sentence really hit me. Everybody wants to feel peace, and that comes in a large part from personal confidence and character. That, combined with the Atonement and the mercy of Jesus Christ, is where peace comes from. Peace comes from us doing our part to perfect our lives and do all we can to show the Lord that we are so grateful for His mercy and forgiveness, which is ultimately what brings us back to God and saves our souls. Perhaps I've just had an "Aha!" moment, but it just seems so obvious today. I think that's a good sign. =) I know that choosing right is definitely not always easy...but I also know that it is always worth it. No exceptions. With the right perspective, it's easy to see that that's true. I also know that we can pray to the Lord for courage and help to do those hard things that are right. How have I seen God's hand in my life today? Through Elizabeth's listening ear and words of reason and encouragement when I was discouraged about my mission (and a few other things). Through Steve showing me the music from Holst's "Jupiter." That music is nearly sacred in its beauty. God showed me several different opportunities for helping others through a little extra kindness. And when I obeyed, I was able to stop focusing on myself and my various and multitudinous problems. He showed my how to forget my own worries by serving others. And He showed me ways that I could do it without getting overwhelmed, even though it did take a little extra effort. A lot of people were kind of down, feeling "haggard" and I did what I could to let them know I was glad they were around. I made it home safely, in the big snowstorm. Joshy was excited when I got home, because he wanted me to play the piano with him. I got home at just the right time for dinner. Guy gave me a very kind sunshine note. The sun was shining so beautifully this morning in a clear blue sky, and the birds were even singing! My family watched our ward Pioneer Trek DVD and I was reminded about the sacrifices of my ancestors, and realized the part I have to play, to do my part to not be a weak link in our family chain. I was encouraged and motivated to do more and complain less, and to trust God in everything. There is no room for fear or doubt if I have a thankful and trusting heart. I have the true gospel, and my life is blessed by it every day. I am a member of Christ's church, and He knows and loves me. All is well. Why should I mourn or think my lot is hard? 'Tis not so; all is right. Why should I think to earn a great reward if I now shun the fight? Fresh courage take! I know that our God will never us forsake. And soon I'll have this tale to tell. All is well! All is well. All really is well. Why should I complain? I have been given so much. This sacrifice of a year and a half is a drop, compared to the ocean of what God has given me. And I know that He's going to bless me for doing it, and I'll be in even deeper debt to Him. But how could I live if I wasn't even trying to pay back and thank Him for what He's given me? I really will be able to bless the lives of many people, and I can't wait to meet them. This doubt is part of my trial to prove my faith. If I just hold on to the things I know are true, I'll be okay. All will be well. =) As President Hinckley always said, "Things are going to work out." Don't let go, and you're going to be just fine. The pioneers left their families with nothing, because they were asked by a prophet of God to go spread the gospel. Why should I hesitate? My life is in order, I'm in good health, and even my scholarships will wait for me! I can do this. With God's help I can do anything. I had a good time with Emily O. this morning. We visited so I could give her her birthday presents and she could give me my viola. Things seem to be going pretty well for the majority of her family, which makes me so happy, because it's further evidence that my prayers are answered. I love their family so much, and it's great to see things working out. Though I hope Laura gets better soon; she's been sick with mono for a long time. I have my viola back. It's gonna be exciting to play the Bach Cello Suites again. Yay! You know, I wish I had the time and the motivation to just sit down every day and learn the instruments I've been wanting to learn. My guitar just sits in my room, as does the organ book that Gerry gave me. And John's viola that I need to give back to him. My mom and I are trying to watch a movie tonight (Father of the Bride Part II, in honor of her being in her forties and pregnant)...but I think the boys have taken her away for the rest of the night. And right before one of my favorite parts! Oh well. I babysat my brothers this evening with Whitney's help. I probably spent more time on the computer than I should have. But I did do several quality things, like loading the dishwasher and wiping off the counter, singing at the top of my lungs with Whitney as I played "Hunchback of Notre Dame" music, and played toy cars with Joshy and Charles for a few minutes. I also read my cousin Kaylene's blog for the first time ever, and got simultaneously motivated and depressed about journaling/blogging/writing. I was motivated to do those things more, but I got discouraged about my creative writing abilities, or lack thereof. My cousins and Whitney are all amazing writers, and their posts are so fun to read. I guess I just feel like I'm not a deep thinker, at least not about the things that most people would want to hear, or that I would feel comfortable sharing. So...I'll try. And we'll see what happens. My cousin Caleb got called to Switzerland, and is going into the MTC one wekk after me! That's pretty exciting. Oops. Up past my pre-missionary bedtime. =( More later!